A new state-of-the art medical facility at Grand Caribe Resort, north of San Pedro Town has the community a buzz . 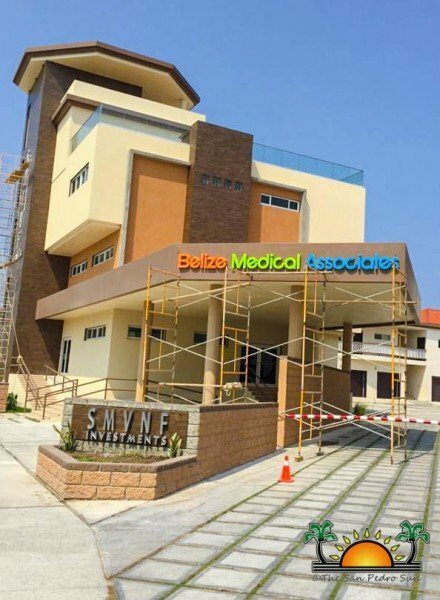 This medical institution will be an island extension of Belize Medical Associates (BMA), a Belize City-based private hospital and clinic. On April 3rd, BMA officially announced that it is opening a polyclinic on the island and will offer some of the best medical care available. The BMA press release stated that they have seen a need for specialized medical care on the island, both for its residents and the growing tourism sector. According to BMA, the clinic will offer medical services to the general public with physician consultations, full clinical laboratory, pharmacy, digital X-rays and ultrasound services. These services will be backed up by the experienced staff at their headquarters in Belize City. X-rays will be digital, and interpretation will also be provided by their experienced radiologists at their main branch on the mainland. The private medical institution, which has thirty years of experience, indicated that they count with specialists in the fields of surgery, internal medicine, pediatrics, gynecology, obstetrics, dermatology, gastroenterology, and psychology on a rotation basis. This year, they claim that they will acquire Belize’s first digital mammogram, full digital X-ray and high-resolution M.R.I. The BMA also noted that Grand Caribe Resort guests will receive special packages via their Exclusive Medical Card membership. The private clinic is expected to open sometime later this year, and for the time being, they have started the process of recruitment and interviews. The institution has said that they prefer to hire San Pedro residents and hope to serve the island community with the aim to expand the scope of their services as the need arises.